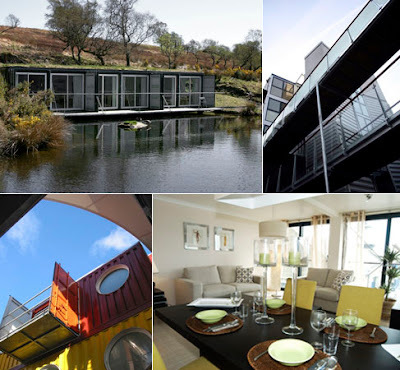 London based Urban Space Management Ltd. has been developing wildly imaginative business and residential developments made of recycled shipping containers since 2001. 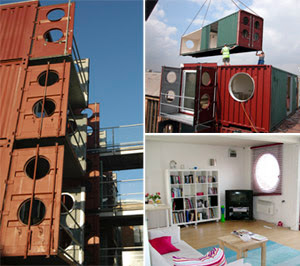 The company has created a versatile system called "Container City" that links together high strength, prefabricated steel modules made of shipping containers that are then given new life with innovative design schemes and vibrant color treatments. 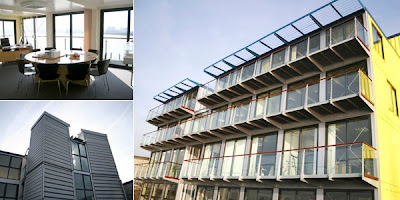 The company has applied their system to everything from offices to children's centers, with great reviews from critics and communities across the spectrum.